The Minnesota Vikings have a new home in Minneapolis; downtown Duluth has a changed skyline; Shakopee now hosts a sprawling Amazon fulfillment center; and the Capitol in St. Paul sports its first new neighboring legislative building since 1932. And those are just four of the many impressive projects finished in 2016 that are honored by Finance & Commerce as Top Projects. Inside you’ll find profiles of all 33 honorees. A panel of experts in construction and related industries selected the 2016 honorees, which were feted at a July 26 ceremony at the Minneapolis Event Center. The winners will also be featured in the Top Projects of 2016 series in the Finance & Commerce newspaper as well as at finance-commerce.com, with additional photo galleries. The series will run daily starting Aug. 1. Please join me in celebrating these innovators, these dreamers, these builders. Congratulations to all the project teams. 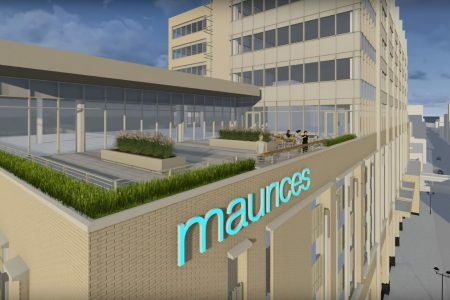 An ambitious public-private collaboration recently resulted in downtown Duluth’s largest building, as well as a new headquarters for a leading retailer of women’s clothing. Because the 11-story structure is essentially three buildings in one, it was also one of the more complicated construction projects in the port city’s history. 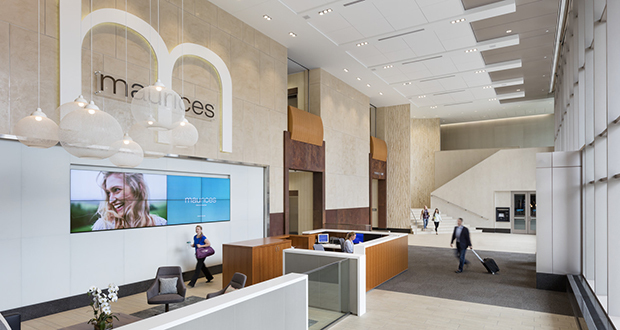 The new Maurices headquarters boasts an exterior of brick, precast concrete and glass. Some complicated thermal requirements were met in order to have four floors of “cold” space for the parking ramp in between multiple floors of conditioned space. The two-story lobby entrance includes retail and office space, while the second through sixth floors include skywalk infrastructure and the 491-space ramp, which is owned by the city. While most parking ramps aren’t noted for their aesthetic charm, this one has a perforated metal skin to keep headlight glare from escaping the ramp. 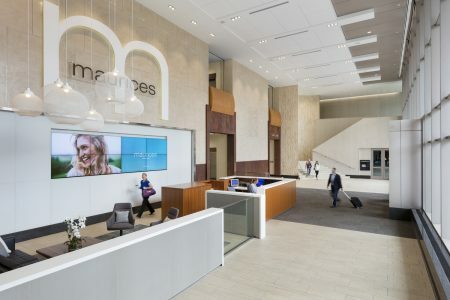 Floors seven through 11 contain office space for Maurices and Ascena Retail Group. 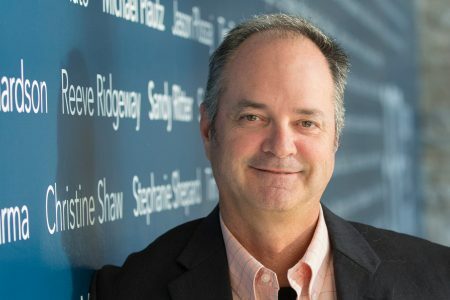 Shields noted the monumental amount of teamwork necessary to make the project go, and singled out architect Terry Helland and Dave McLaughlin of McGough Construction for special praise.